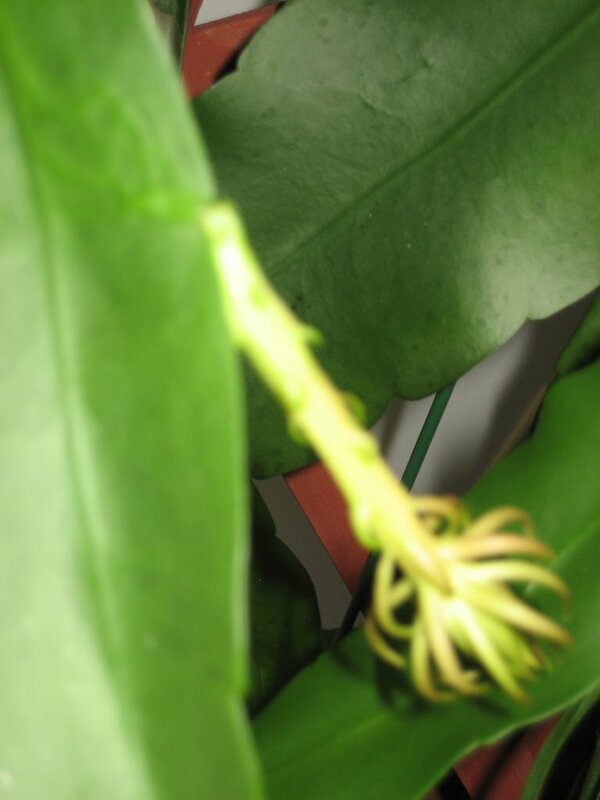 I waited 13 years for the night blooming cereus to bloom the first time, and I've waited another 6 years for it to bloom since it last bloomed. I think I have just a matter of weeks or days for it to bloom again. 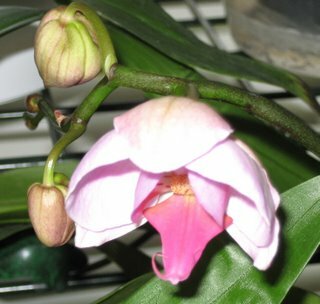 I've waited maybe 5 years since I bought this orchid in bloom for it to rebloom again, and here it is blooming! The bloom will last at least a month or more. 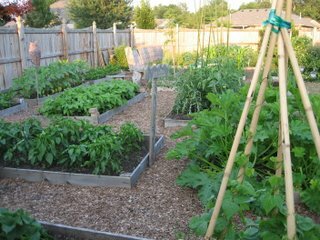 Having waited for the above plants to bloom, I can wait a few more weeks for this vegetable garden, planted in late May, to provide me with more tomatoes, zucchini, cucumbers, peppers, green beans, and corn than I can possibly eat. Carol - over at Hanna's you said you had a hail storm?? Sure hope there was no real damage! What a patient person you must be, to care for and nurture those plants for all those years, with no guarantee of a payoff.... kinda like being a parent for green teenagers?? Yes, there was a hailstorm yesterday evening. Minor damage, a few holes in the hostas and elephant ear, some rips in the corn leaves, a few leaves off some trees. But, no permanent damage! I have never heard of a cereus. Can appreciate the orchid though! They can be tough.